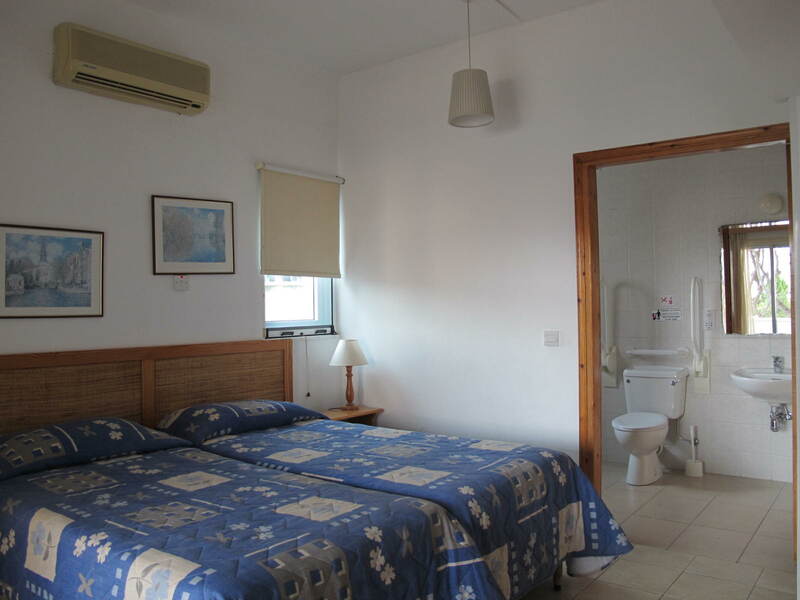 The large bedrooms all have separate air conditioning units. 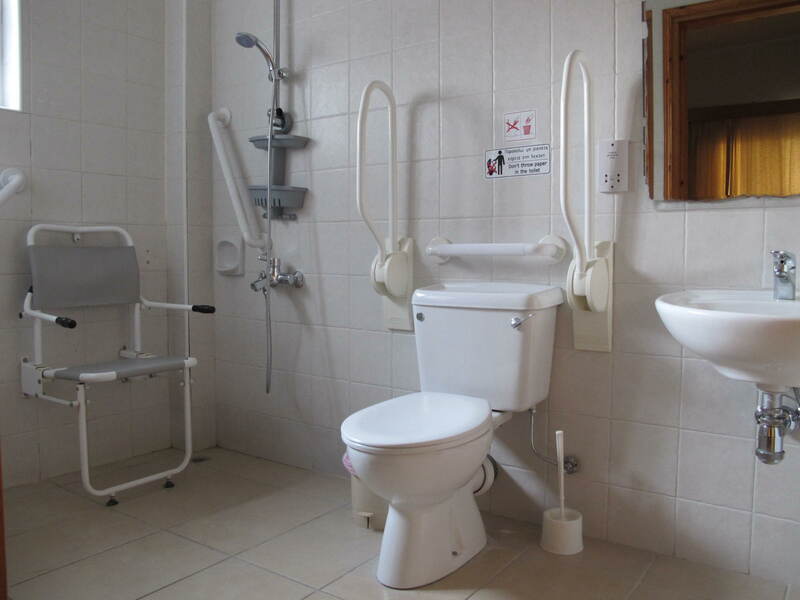 The main bedroom has an en-suite bathroom with a roll-in shower and grabs rails throughout with drop down bars on each side of the toilet. 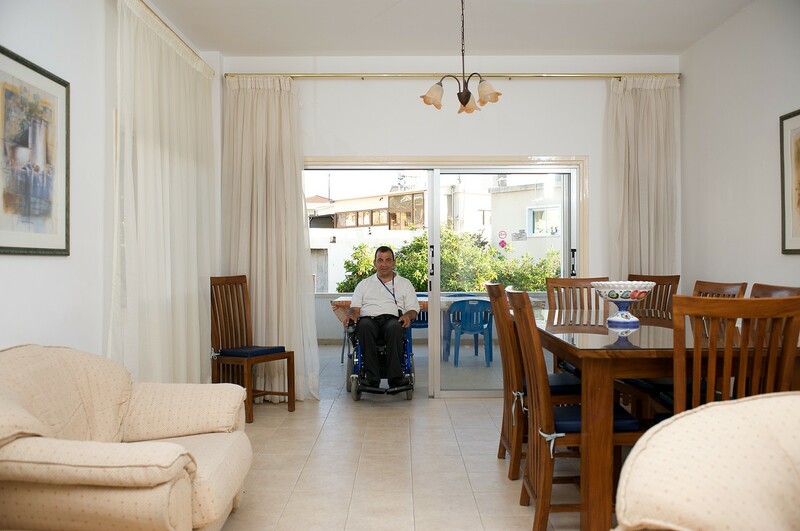 It has been very carefully thought out, with the main emphasis being on accessibility for the disabled guests. The main bedroom has patio doors leading to a covered balcony and the other two bedrooms have a balcony overlooking the pool. These two bedrooms are also of a large size. Along the corridor from the main bedroom there is a second smaller guest bathroom. This again has a roll in shower with grab rails for ease of transfers etc. 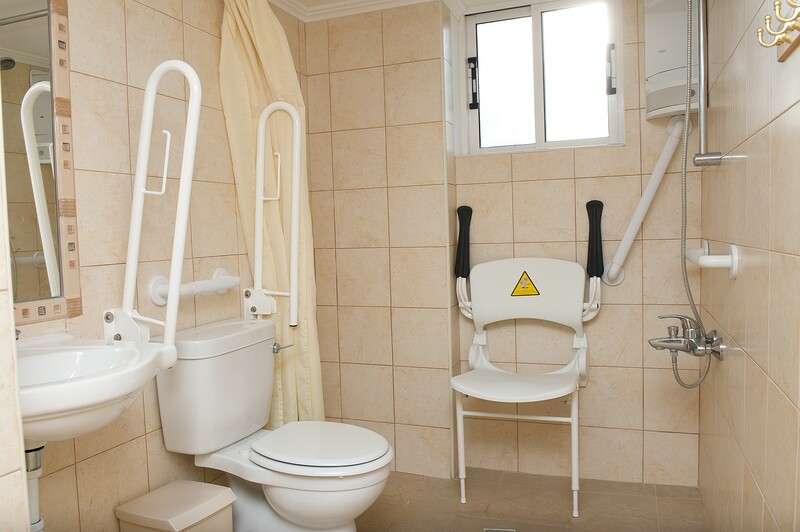 The apartment also has a third toilet/washbasin, but this is only a small room and not wheelchair accessible. In total the apartment has 3 toilets. 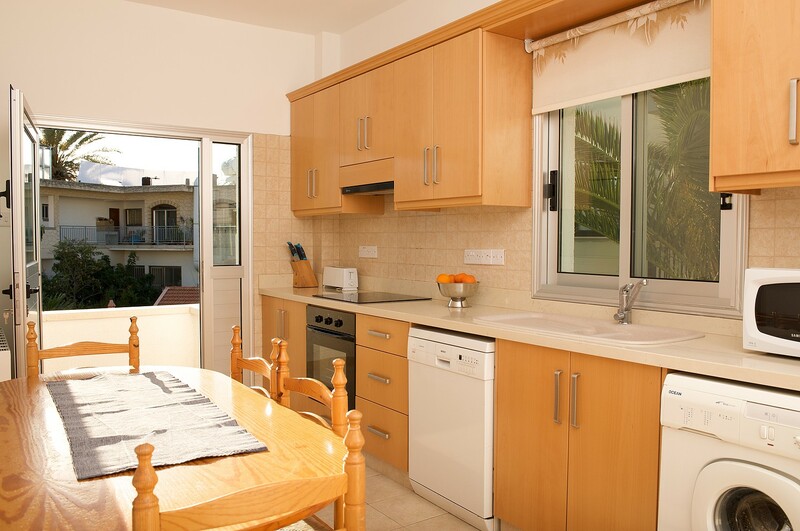 The kitchen is a fully functional one with modern cupboards and units as well as all the main appliances, making life all that bit easier for our guests. It is complete with a dishwasher, electric cooker and hob with extractor, microwave, fridge and washing machine, etc. The lounge is spacious throughout, lots of room for a wheelchair user to get around with no obstacles in your way. It is furnished throughout with excellent inside and outside dining area and seating. There is a television.